Left, a bust of Swedenborg. 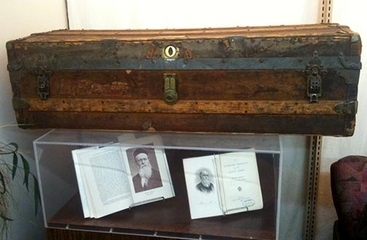 At right, the trunk used by the James Family (Henry Sr. and Jr., William James) to transport Swedenborg's works with them as they traveled through Europe. 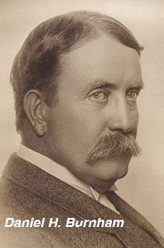 Henry James Jr. commented that their new quarters didn't feel like home until the Swedenborg was unpacked upon the mantle.–Collection of the Swedenborg House of Studies, Pacific School of Religion, Berkeley, Calif. The Swedenborg Library in Chicago, Illinois is dedicated to practical spirituality. The Library's collection includes the work of 18C Swedish scientist and theologian Emanuel Swedenborg (1688-1772) among its spiritual-topic books. The Library sponsors educational programs and workshops for the public. The Library is located on the 17th floor of the Chicago Temple Building (77 W. Washington St., at Clark St.) in Chicago. For many years it operated from 17 E. Van Buren St., and then in suite 501 of the Masonic Temple Building (no longer in existence; the State-Randolph Walgreen's is where the Masonic Temple Building used to stand.) The Library was founded in 1886. The Swedenborg Library is open most Wednesdays and Fridays from 1 pm to 5 pm, and prior to scheduled programs or by appointment. Contact us at info@SwedLib.org. 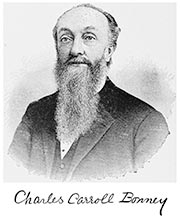 In Chicago, members of the Swedenborg Library included architect and city planner Daniel H. Burnham, initiator of the first Parliament of World's Religions Charles Bonney, lyricist George F. Root, and Chicago History Museum founding board member Jonathan Scammon whose son Jonathan founded a law firm with Robert Lincoln, Abraham Lincoln's son. To view Dr. Kristen Schafffer's lecture, The Plan of Chicago as a Map of Heaven: Daniel Burnham’s Swedenborgianism which she delivered at the ACS 5 Symposium: Urbanism, Spirituality and Well-Being – Exploring the Past and Present / Envisioning the Future in June 2013, click on this link to Youtube where it is found: The Plan of Chicago as a Map of Heaven Dr. Schaffer is Associate Professor of Architecture at North Carolina State University. 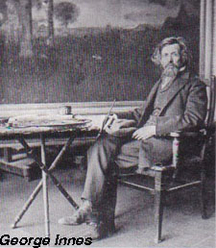 Other notable Americans who read and wrote about Swedenborg include Ralph Waldo Emerson, Henry James Sr. and his sons William and Henry, John Chapman (Johnny Appleseed), Helen Keller, and artist George Innes. 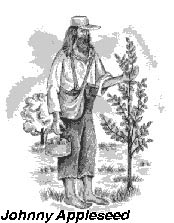 Ralph Waldo Emerson included a chapter on Swedenborg in his book "Representative Men." 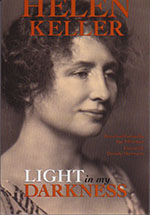 Helen Keller, deaf, mute and blind from the age of two was comforted by Swedenborg's statement that disabilities do not continue into the next life; she wrote about her faith in "My Religion." 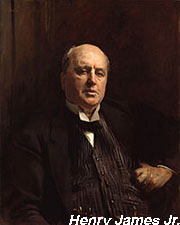 Author Henry James and father of Pragmatism William James were raised on Swedenborg theology by their father Henry Sr.; artist George Innes was inspired by Swedenborg; in England, Elizabeth Barrett Browning and William Blake are among those work shows some familiarity with Swedenborgian concepts. 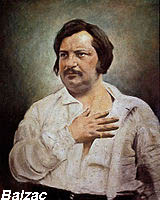 Open Wednesdays & Fridays, 1 pm-5 pm, and before/after public programs.